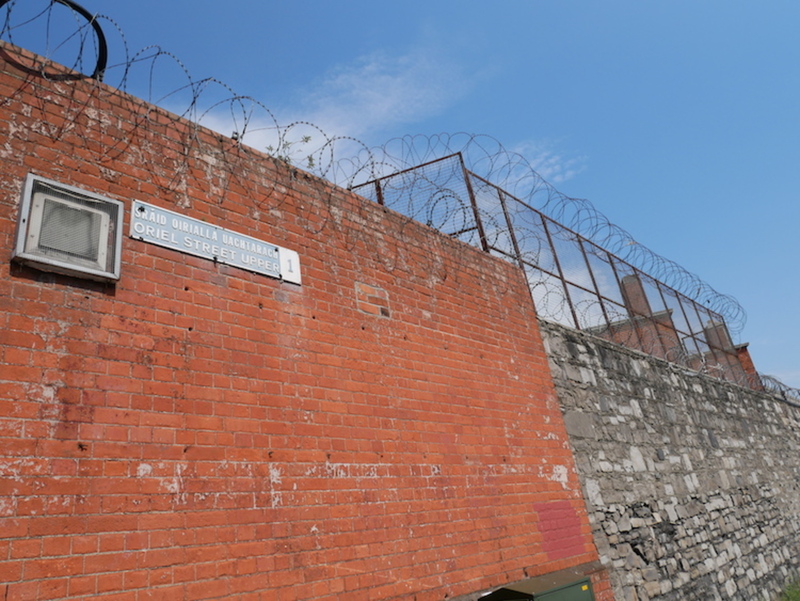 Paul Ryan says that those who live in North Wall know little about what might be built in the big car park near Connolly Station, the other side of the high stone walls crowned with barbed wire and flowers that border a stretch of Sheriff Street Lower, and Oriel Street Upper. He knows what he would ask for: more green space so parents don’t have to transport their kids to Fairview Park to play. More pitches for the local football club. And more social housing – to make good on the promises made over the years to the local community, as this part of the north-inner city has been built up. But while this land, which covers roughly 2 ha, is owned by Córas Impair Éireann (CIÉ), a semi-state body, he has little hope that those needs will be met. 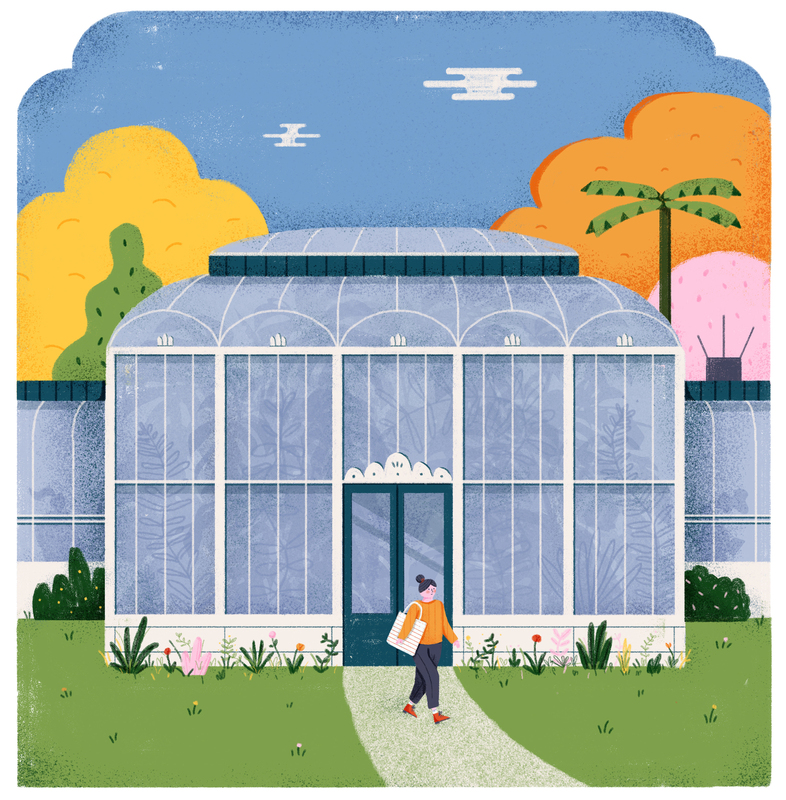 “CIÉ don’t need permission to do anything,” he says, of the national transport agency, which owns swathes of land across the country, from old railway sidings to depots, including around here. In May, CIÉ signed an agreement with a Singapore-based developer, Oxley Holdings, to develop this large site, which backs onto some of the most marginalised streets in the city. It’s the latest in a series of deals to squeeze as much money out of its land as possible, which can then be funnelled towards paying for public transport. At issue, though, is how best to use public land – a subject of intense debate in recent months – and whether the actions of state agencies such as CIÉ will lead to a city where all, regardless of income, can find a home, or instead become a magnet for rich enclaves. Some say there are other ways to develop state land that ensure the benefits of this public wealth is shared. Consider the contrast between the approaches taken by Ireland’s national transport agency and its UK counterpart, Transport for London. 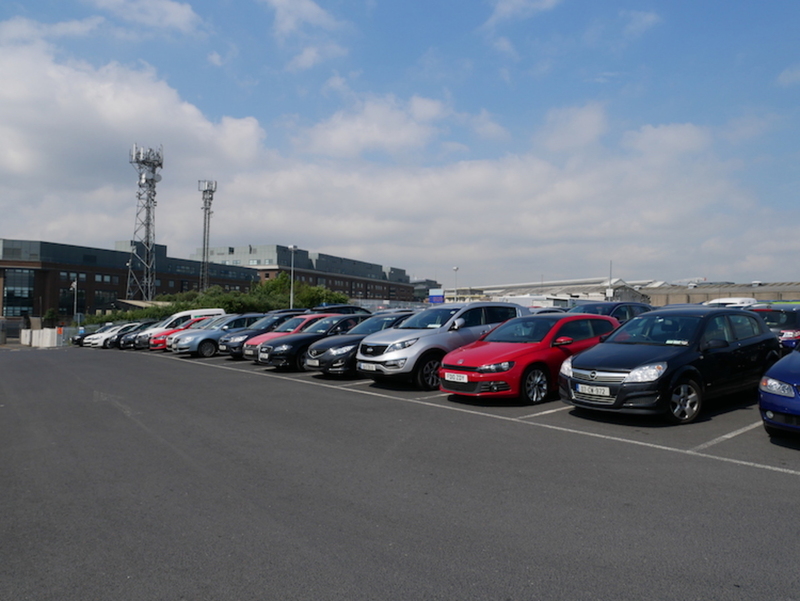 On a recent Monday in the late morning, there were few empty spaces among the rows of the car park. Along the fringes, some Irish Rail workers idled in vans. Under the deal struck with CIÉ, Oxley Holdings may develop a mix of apartments, offices, student accommodation and a hotel here, it said in a statement. CIÉ gets an annual fee of €2 million, and then a “premium rent” of either €3.5 million, or 10 percent of the annual rental income from the development, it says. The site has planning permission from 2012 for 106 apartments, more than 540,000 sq. ft of office accommodation, more than 70,000 sq. ft of shops and restaurants, and a 101-bed hotel. As well as some community and leisures facilities. There is no mention, though, of the affordable homes and facilities for long-time working-class communities that Ryan and others in the area say they would like to see built. But it’s unclear if Oxley Holdings will stick with that plan or reapply for a different vision. More detail on the development isn’t final yet, a spokesperson said by email. CIÉ has signed a bunch of other land deals in the last few years. Some are outright sales, others for a future stream of cash. In 2016, CIÉ and others sold land at Point Campus, off the eastern end of Sheriff Street Upper – where a large student-housing complex is being built. In November 2017, CIÉ and NAMA sold a site on Abbey Street Upper to Balark Investments Limited, which has expired planning permission for a 344-bed hotel over a bus interchange. CIÉ also signed a second development agreement this year, with Bartra Capital Limited for the Railway Sidings at Clanwilliam Street, not far from Grand Canal Dock. In its annual report for 2017, CIÉ says its aim is to “secure long-term value from the commercialisation of its property portfolio”. 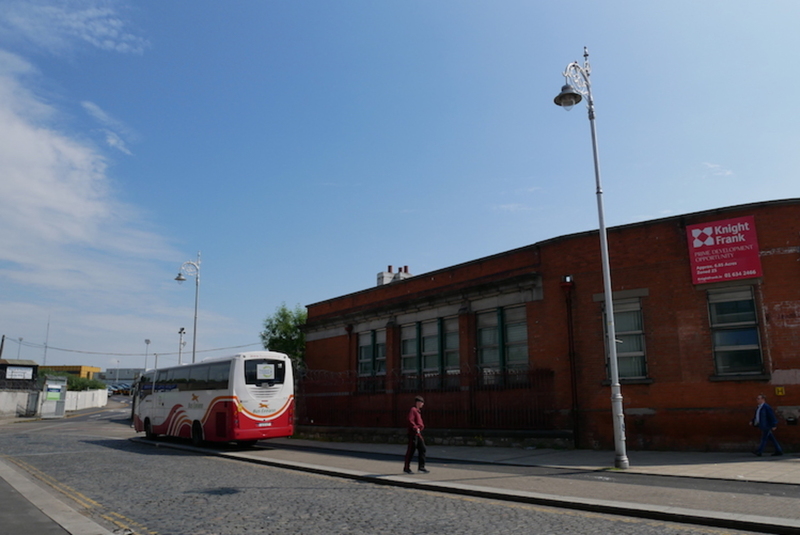 Money from its properties is passed on to its subsidiaries, such as Dublin Bus, Bus Éireann, and Iarnród Éireann which helps to subsidise public transport, it notes. But some say it’s time for CIÉ, and other public bodies, to take a broader look at how it develops its lands, at whether it relaxes its focus on high-end apartments, and hotels, and students housing – and considers how it can create sustainable communities, too. 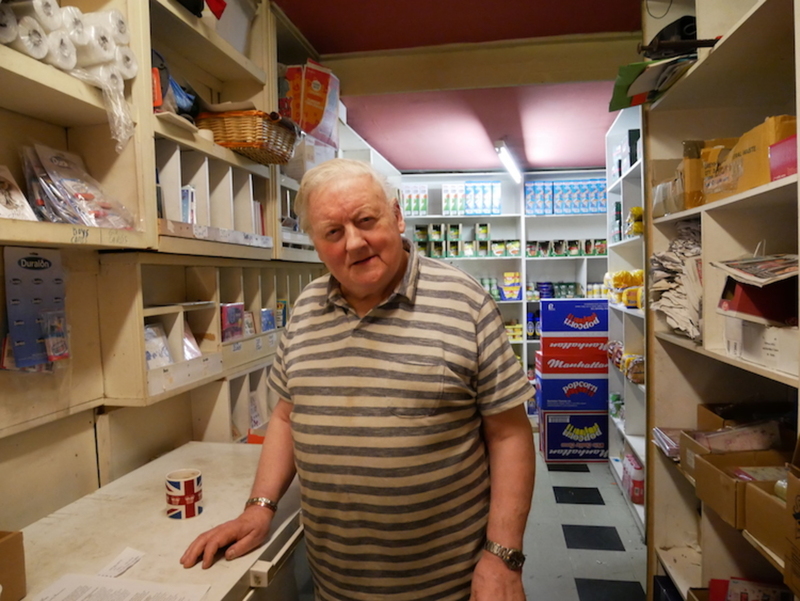 In the back of K&A Stores, which sits catty-corner from the end of the wall off Oriel Street Upper, shopkeeper Gerry Fay says what will go on the land seems to be settled. “It’s already kind of done and dusted,” said Fay, who also sits on the North Wall Community Association. There are shelves of supplies around him: boxes of Pringles, and ticker tape, and a wall display of baby soothers. He turns and contemplates the top of the freezer next to him and, as if there is a map outlined on it, he points to all the large parcels of land in the neighbourhood that have been built on, or planned, in recent years. Over the wall is the planned CIÉ scheme, he points to a spot on the left. The International Financial Services Centre lies to the south, where millions of euro are traded each day. There’s the PwC offices at Spencer Dock, down by the river. He plonks down his glittery Union Jack mug of tea to mark the centre of his map. “In the middle of all this, you have Sheriff Street,” he says. Fay says he is still waiting for promised social and affordable housing. While the Docklands masterplan of 1997 had a provision that 20 percent of developments should be affordable housing, that didn’t happen in many cases. Some developers in the Docklands on the other side of the river have set such high prices for the social housing they have to sell to the council under legislation, that Dublin City Council has said it is looking to strike deals to take those homes in cheaper parts of the city. Fay says he and other residents still want the public housing that was promised in decades past, under the cascade of plans announced for the area. “We’re still fighting for it,” he says. He taps his foot on the floor. “We are standing on the most valuable land in the country,” he says. Publicly owned land is central to increasing affordable housing, researchers at the National Economic and Social Council (NESC) argued recently. Measures already in place for private land, such as the vacant-site levy are useful, but “not sufficient to assure appropriate housing supply and affordability”, they said, in a report on land use – and nodded towards models used by Transport for London as inspiration for the future. Graeme Craig, the director of commercial development for Transport for London (TfL), says they’ve been on a journey there. In 2012, TfL set up a team to look at what it owned, with the aim of selling off land to invest in transport. It has loads of prime land, after all: above and around stations in London’s town centres, and within its 82 car parks. Then, Labour Mayor Sadiq Khan was elected in May 2016, and TfL was set a goal of providing 50 percent affordable housing across its portfolio. And in the last 12 months, they’ve moved away from looking at straight sales to how to get longer-term revenue. It was simple enough to tweak plans to deliver twin targets of getting a financial return and delivering that affordable housing, says Craig. TfL no longer gets any central government grants to cover operating costs. “Therefore we have every incentive in the world to make the best use of our assets,” he says. Craig offers a note of caution: the path TfL has taken is not one to take lightly. Its development team has grown from five people to more than 70 people in the last six years. “This has required a major investment,” he says. Damian Thomas, a senior policy analyst with NESC who co-authored the recent land-use report, says what struck him was that the changes didn’t require legislation. Here in Ireland, though, public agencies are counting differently. “You still have the criteria for selling off any public asset, that you have to achieve the highest financial bottom line and I think that’s really the issue,” says Joseph Kilroy, a visiting fellow at University of Sheffield, who is researching what’s known as “land-value capture”. If you had different criteria, if public bodies were asked to use their land to achieve a certain amount of affordable housing, then that would really mean a more constructive use, he says. “I think you need a decision from […] higher-ups that says, ‘We aren’t only interested in the financial bottom line, we are interested in the wider social good,’” says Kilroy. The Department of Transport said that any questions about CIÉ’s use of land should be directed to CIÉ. (The Minister of Transport is the main shareholder for the body.) CIÉ didn’t respond to queries about affordable housing. For TfL’s Craig, the question he grapples with for each site is how to “bring forward sustainable mixed-use development that promotes affordable housing but also affordable work-space, cultural use and others,” he says. “I’m increasingly of the view that there isn’t one answer to this,” he says. They’ve worked with big developers but also brought 10 small sites to market last year, where 111 homes are being built. What “affordable” means can differ on different sites, he says. “We’ll meet whatever the local authority wants,” he says. Thomas of NESC says what is a good deal for the state can vary from one patch of land to another. “You have to get the right balance between what you’re looking to keep and you’re also incentivising investment,” he says. Building up expertise is key to getting it right, he says. That’s where something like a National Regeneration and Development Agency might come in “rowing in behind different agencies”. Kilroy says a good way to work out if a deal is good is to follow the money. “Look at how much money is made at the end of that process for the developer. And compare it to the land sale,” he says. There’s a risk at the moment that debate here over public land lying vacant will lead to calls for the state to just sell it off for private developers to build on, he says. Fay of the North Wall Community Association wrote to the council back in 2011, when CIÉ applied for planning permission for the land near Connolly Station. He noted the lack of new social housing in the neighbourhood, and in the plans for the site. Young mothers were having to move out of the neighbourhood to find homes, he wrote. The local schools were losing pupils. Social housing promised under the masterplan hadn’t materialised. Fay calls all this “managed decline”. Store Street Garda station is metres away, yet while they’ll launch a special operation to move drug dealing off O’Connell Street, they won’t on Sheriff Street, he says. Years back, he went to see Ted Johns speak at Liberty Hall in the city centre. The grassroots leader from the Isle of Dogs in London’s East End spent much of his life fighting for the economic gains of construction in the Docklands to benefit working-class communities there. 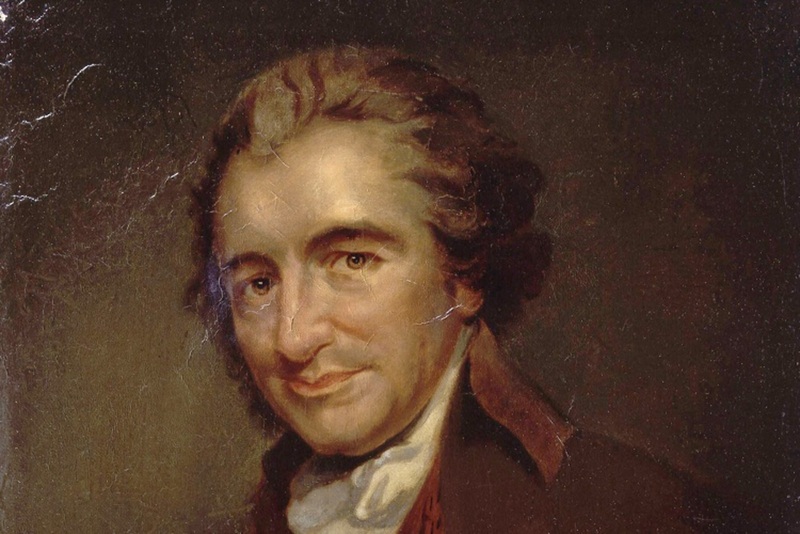 He declared independence for his neighbourhood, and set goats amok in the corridors of County Hall. “He was John the Baptist of his time. He came to warn us and we didn’t listen,” says Fay. Johns told them that city officials would always talk about tomorrow, how everything will be wonderful tomorrow.